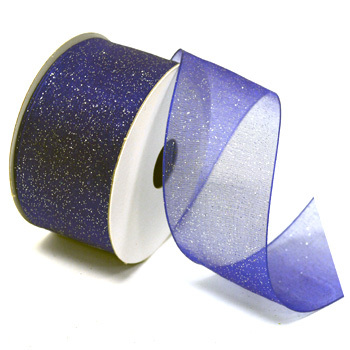 Glittered sheer ribbon. An elegant organdy with an eye-catching sparkle which lifts this sheer ribbon out of the ordinary. Great for that step above look in floral arrangements or home decorating. Use for a stylish gift wrap of for that extra special touch.